So maybe tomorrow I’ll find my way home…I love this song now as much as I loved it in 2003 and now the tune is stuck in my head. Whilst packing up my CDs and DVDs earlier today I noticed something interesting, every single, album and film sitting on my shelf had a story or a memory of a person or place associated with it. 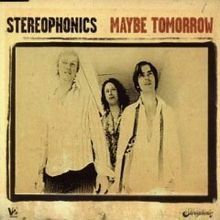 Now the story for this Stereophonics single is very interesting and very long and requires lots of coffee and cake lol. For now, what I will say is I had about 200 plus memories sitting on my shelf for the past four years and I hadn’t touched them. Not once, oh wait, they may have been dusted every now and then! For your amusement I thought I’d share some highlights of where my memories have taken me today. As you can see it took me a while to pack them up as the memories kept on coming. Over the years instead of recalling these memories from time to time, I created new ones, with new songs and new movies. I had left these old ones buried in my past, only to resurface today and send me into some sort of emotion filled time warp. Memories do that right, you’re sent back to that time, with those people or in that place, wearing what you were wearing, saying what you were saying and doing whatever it was you were doing. It’s like an instant recall. This got me thinking, if you keep reliving the same old memories day in and day out, do they keep you ‘stuck’ in that place or time? Do you ever really move on? Is it ok to keep reliving good memories but move on from bad ones? Before I sign off, I encourage you to go and look at your CD shelf (if you have one) and play a song that reminds you of the old you, of a time that you loved and one that makes you smile and dance, because it’s those memories that got you here today, in exactly the place you’re meant to be. Written for all those people like me, who have neatly organised and filed away stuff never to be seen again. Also I’m wondering if my friend Tracy has gone through the same process as me today, as we both pack up and prepare for our next exciting adventure. Next Post Do I really look like that?